"after using the body polish, some people find that there is no need for an additional moisturizer!" 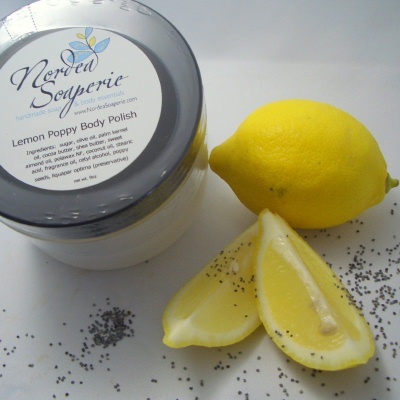 This body polish is made with sugar to gently exfoliate the skin. After showering, simply scoop out a bit of body polish and gently rub all over the body. Rinse off, pat dry and feel the lovely layer of soothing oils left on the skin. Emerge from your bath with soft, smooth skin that is also lightly moisturized.